Italy is surrounded by the Mediterranean and has a long and varied coastline. The sea (il mare, il Mediterraneo) takes different names around the coast: to the west of Italy is the Ligurian Sea (Mar Ligure), and south of that is the Tyrrhenian Sea (Tirreno). Around the sole of Italy's boot lies the Ionian (Ionio) and to the east is the Adriatic (Adriatico). A few sections are protected marine reserves, others (particularly in the south) have been spoiled by tacky half-constructed villas. Traditionally Italian villages were constructed in defensive locations, often in the hills above the sea. And until the first half of the twentieth-century, many coastal lowlands were malarial. Often nowadays you'll find a historic town centre inland or up a hill, with a modern beach suburb along the sea. Historic fishing ports, although situated on the sea, favour rocky natural harbours and defences. Consequently these more attractive destinations usually lack long beaches, and often the rocky coastline hasn't permitted much space for development. So many of these, like Portofino and Positano, have become picturesque and exclusive destinations, a million miles away from the long, heavily-developed mass-tourism beaches of resorts like Rimini. If you want to avoid the crowds, avoid August and late July, and weekend afternoons. Italians don't believe in bathing out of season, so during early warm spells (May, early June) independent-minded tourists can find plenty of space. Before the private beaches are up and running, it's often possible to wander through freely. 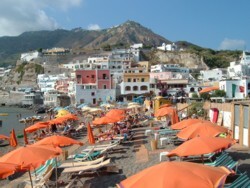 On this page you'll find a list of Italian seaside resorts, grouped by category of destination. > Beaches - more about the paying beach experience in Italy. These are destinations whose principal appeal is their beautiful scenery; generally former fishing villages which have been geared for tourism without losing their charm. There is usually some access to the sea, but beaches may be small or rocky. 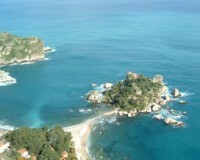 There are lots of small islands off the coast of Italy which offer relaxing seaside holidays and lots of blue sea. 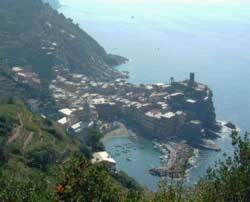 These places are primarily seaside resorts, sometimes with a bit of culture thrown in (this is Italy, after all). 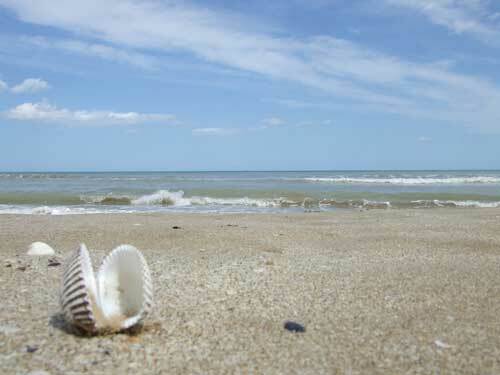 > Grado - in the north-east of Italy, Grado sits between a lagoon and the head of the Adriatic. It has a historic centre and is near the Roman ruins of Aquileia. These busy ports and larger towns on the Italian coast are not ideal locations for a seaside holiday, but they do make bases from which you can take boat trips and explore the nearby coastline. Most have beaches in the town or not far away, although they may not be the cleanest. > Genoa - vibrant port city with lots to do and beaches nearby. > Trieste - port up in the north of the Adriatic, near Italy's border with Slovenia.